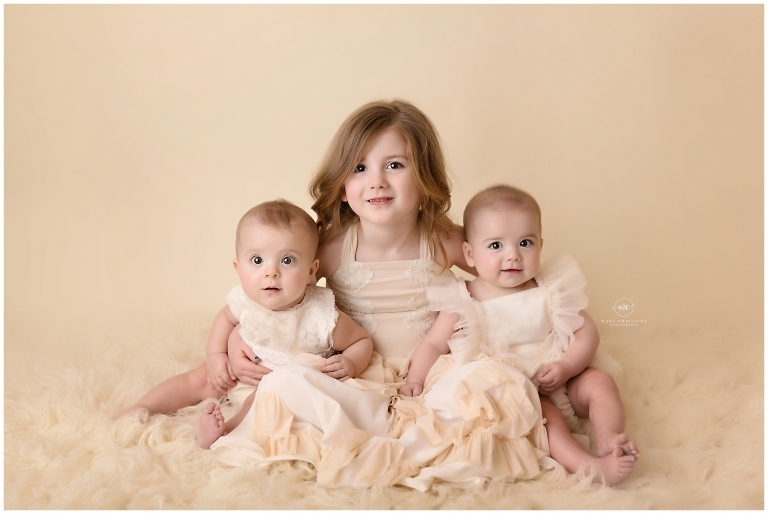 We have the cutest sisters on the Wadsworth Ohio photographer blog today! My goodness, their daddy is in trouble with these three beauties! I just could not stop gushing over them at their photography session! 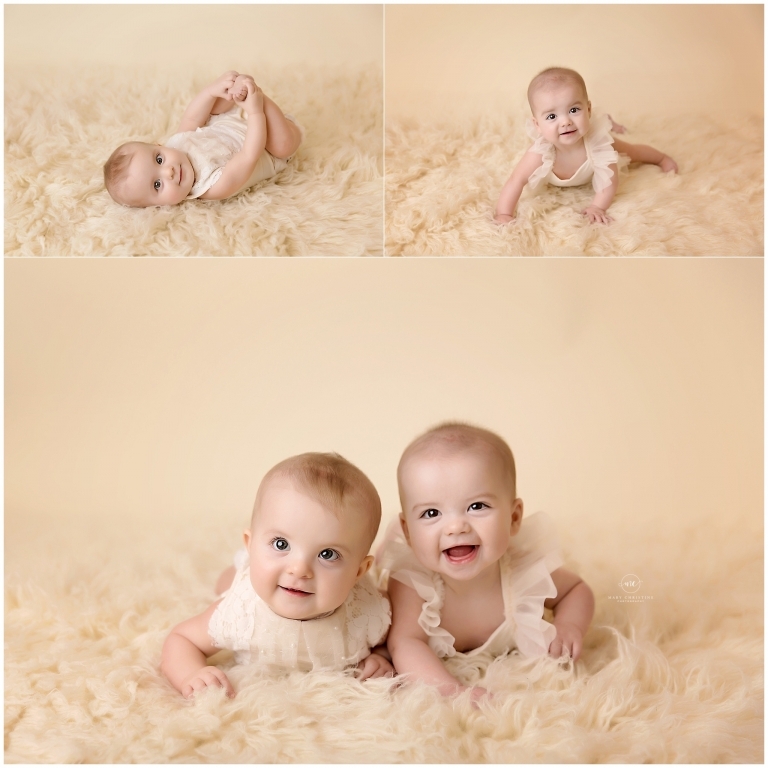 The twins are about six months old and while I was scheduled to do their newborn session, they had a bit of a rough start. We decided to wait until everyone was doing well, so when they came in, I was thrilled to meet them! It was so difficult to know that one of the girls had an extended hospital stay. I cannot imagine as a momma having a child in the hospital that long! Big sister was there for their session too! Isn’t she just the most adorable little girl ever?? She was so shy when they first came but eventually warmed up. Her smile melted my heart! Oh these girls! They have such different personalities already, it is so amazing! One was on the move while the other was content to sit and play with her toes. Those gummy smiles and sweet expressions are nothing short of priceless. Don’t you just want to gobble them up??! I get asked frequently about outfits for sessions. If your kiddos are coming to the studio and are three years old or younger, I have everything you need. All of these clothes are from my client closet, momma did not have to bring a thing! Big sister’s dress is from Dollcake and the girls rompers are from Baby Bliss Props and Cora and Violet. I think it really puts the polished touch on the portrait of having nice, coordinated clothing. Thank you so much for stopping by the blog! 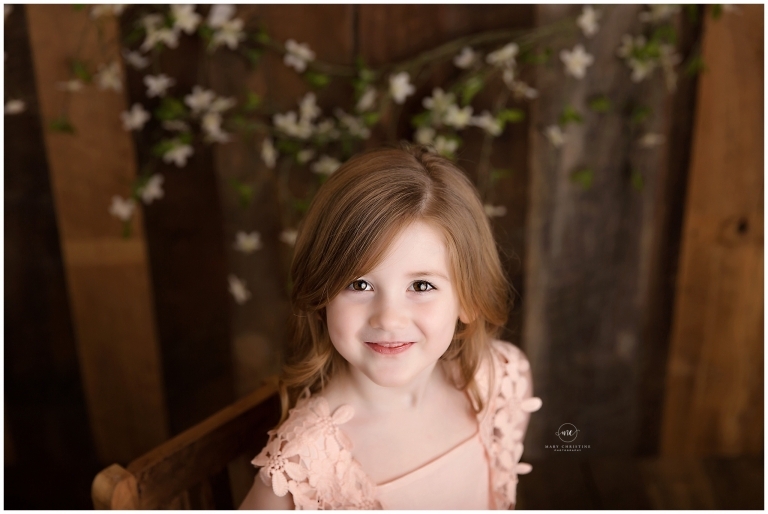 Are you looking for a Wadsworth Ohio photographer? Mary Christine Photography is only minutes away from Wadsworth Ohio and specializes in bump to baby photography!